Once you’ve had an electric car for a short while you’ll want to venture beyond its initial range and you can only do that by charging away from home. The most popular method is to use one of the network of Ecotricity rapid chargers, their ‘Electric Highway‘; there is at least one located at virtually all service stations on the UK motorway network. 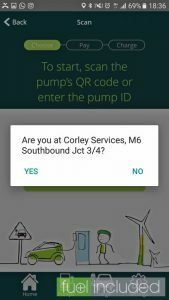 In advance you need to have installed the Electric Highway smartphone app (available for Apple and Android devices) and set up an account with Ecotricity to allow you to use it. 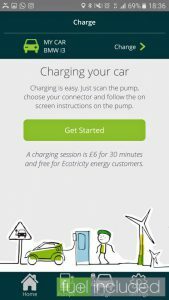 Ecotricity home customers get 52 free uses per year, otherwise the charge is £6 per half hour charge. 1. On arrival, park up so the required cable can reach the charge socket on your car. Typically that means facing forward if your car has the charge point in the nose (e.g. 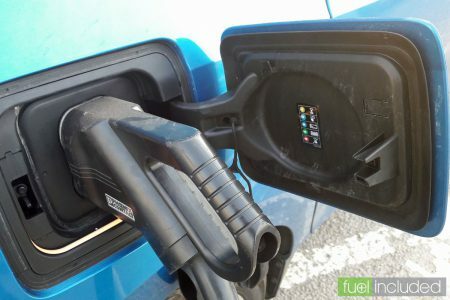 the Nissan Leaf, Renault ZOE or Kia Soul) but reversing in if the charge point is near the rear (e.g. BMW i3, Mitsubishi Outlander, Hyundai IONIQ or Tesla Model S). 2. 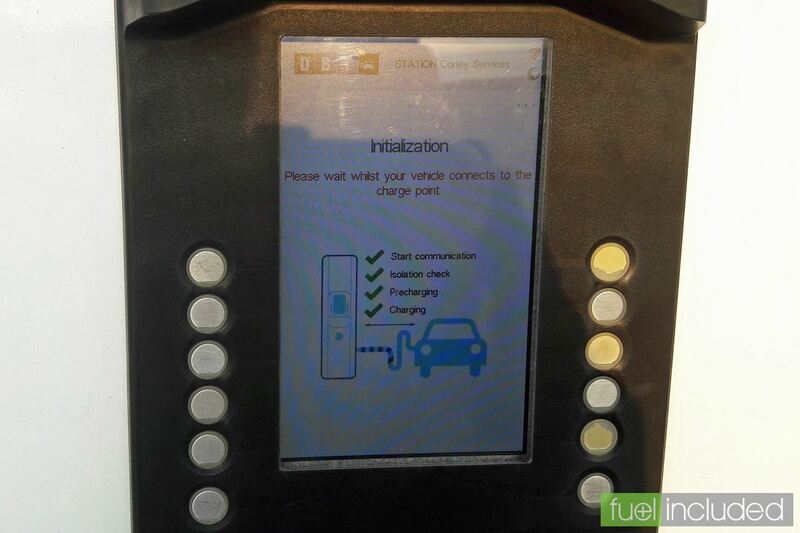 Get out of the car and check the screen on the rapid charger to confirm it’s working. 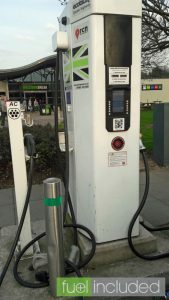 Assuming the charge point is not already in use, the rapid charger will show a screen saying ‘Welcome! 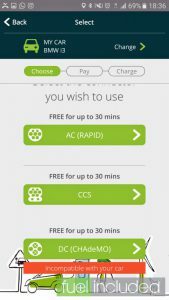 To charge your car, use the Electric Highway smartphone app’ or ‘Welcome! 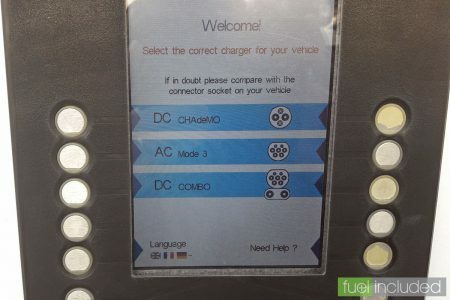 Select the correct charger for your vehicle’. 3. 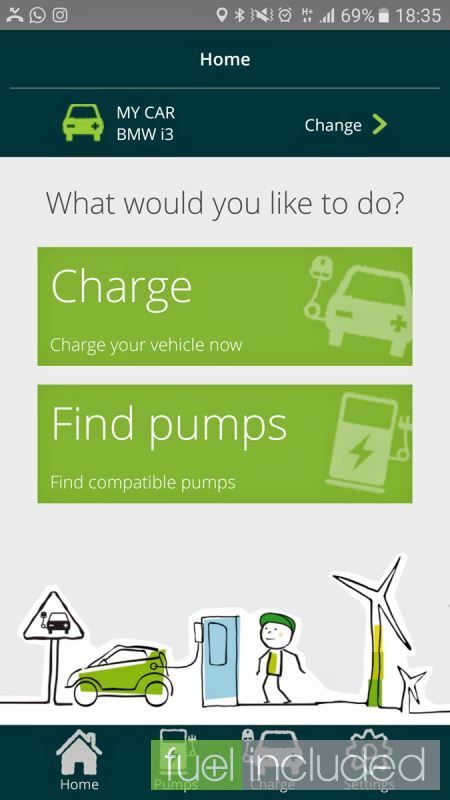 Start the Electric Highway app on your phone. If it has been correctly setup it will show your car type at the top. The screen will say ‘What would you like to do?’ with two big green buttons labelled ‘Charge: charge your vehicle now’ and ‘Find pumps: find compatible pumps’. 4. Press the ‘Charge’ button. The screen will change to say ‘Charging your car’. Press the ‘Get Started’ button. 5. 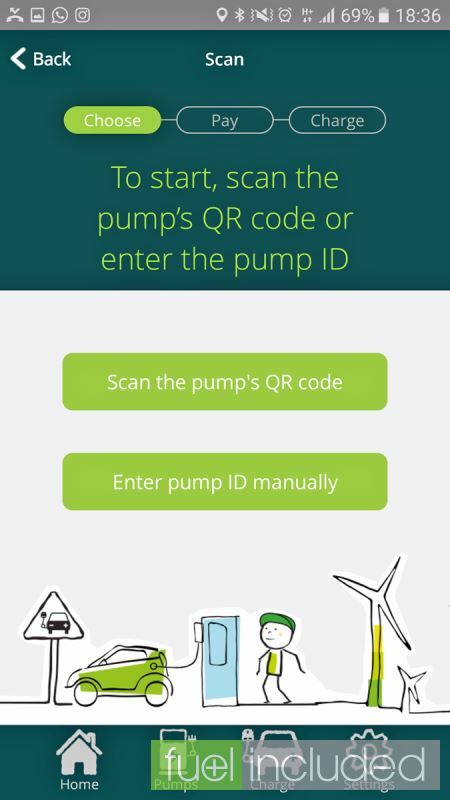 The screen will change to say ‘To start, scan the pump’s QR code or enter the pump ID’. 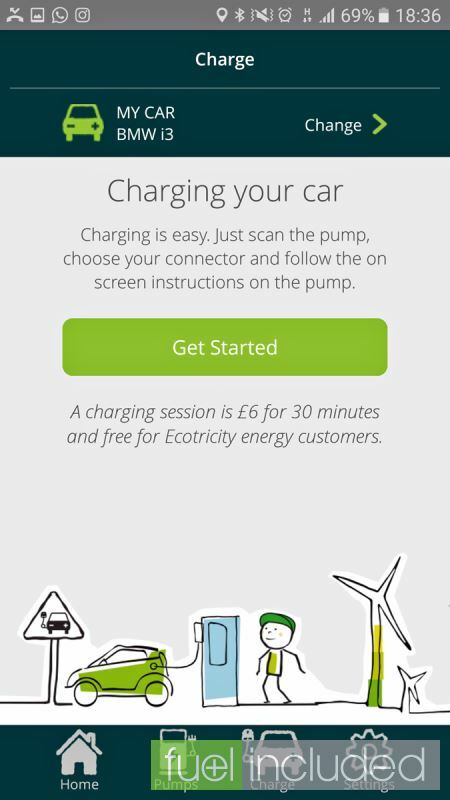 Here ‘pump’ is Ecotricity’s term for a rapid charge point. 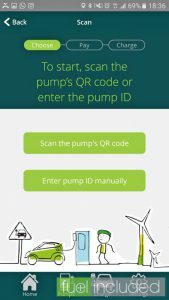 For simplicity we’ll choose the latter – press the ‘Enter pump ID manually’ button. 6. 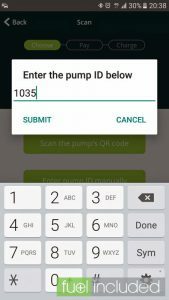 This will bring up a box to enter the pump identification number; selecting in this box will bring up your ’phone keyboard. 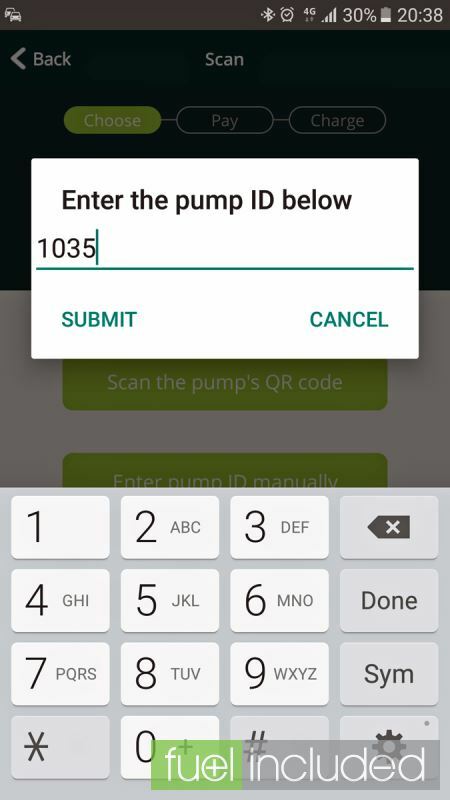 Type in the four digit number as written below the screen on the charge point. 7. 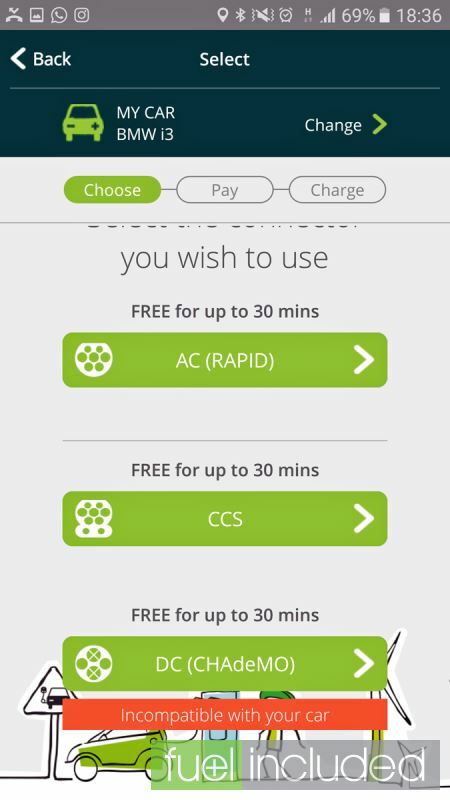 The app will look this up and specify the location of the rapid charger with that number. If the number matches your location press ‘YES’. 8. 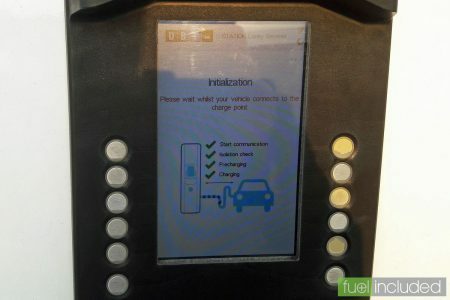 The screen will change to allow you to select the appropriate cable and connector for rapid charging your car. 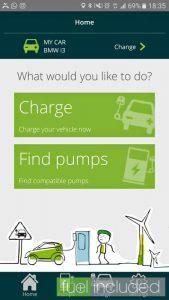 This is essentially straightforward: the Renault ZOE uses AC rapid, the Leaf, Outlander and Kia Soul use CHAdeMO and most others use CCS. You should know the connector type for your car, and the app will also exclude the ones it believes are incompatible. However, you should be aware that most cars can use the AC at low speeds as well as the DC at high speeds and so you may accidentally use AC but find your car charges only very slowly. In other words, use CCS and CHAdeMO in preference to AC unless you have a ZOE. 9. At this point control of the charging moves from the app to the charge point itself. 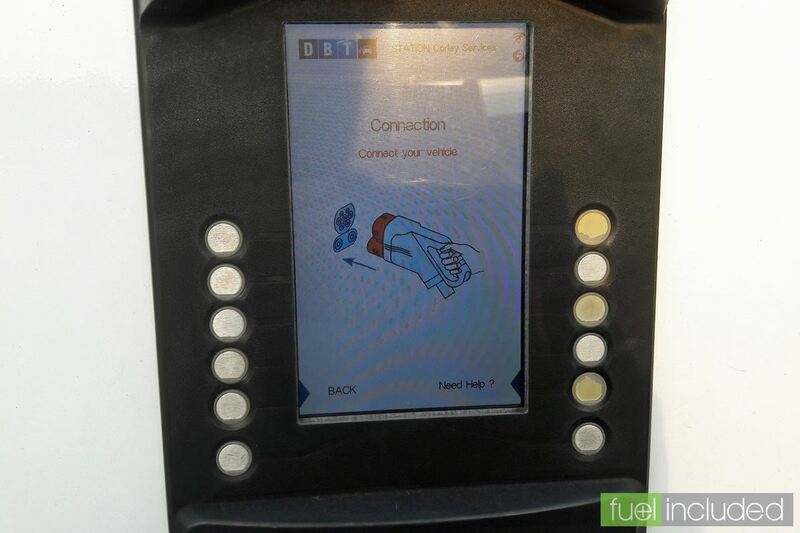 Once initialised the charge point screen will show ‘Connection: connect your vehicle’. 10. Plug the connector into the car, remembering to remove the secondary dust cover if you have a CCS socket. So long as the car is set to charge (i.e. 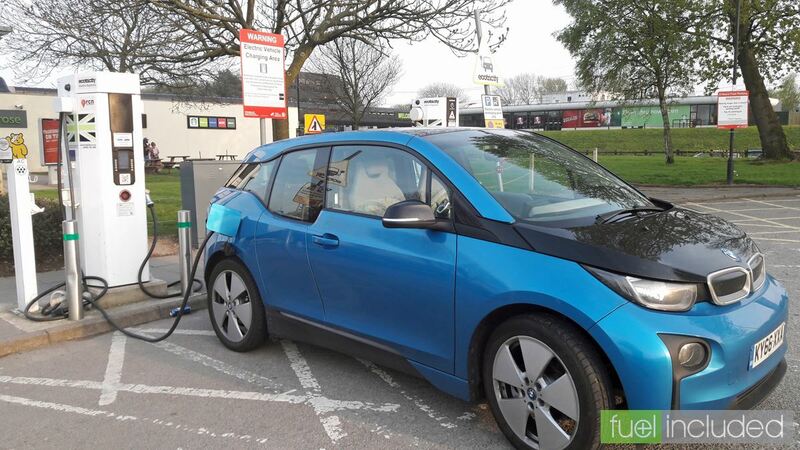 you don’t have the charge timing override set) the car and charge point will ‘negotiate’ the fast charge they can both support, and charging can begin. 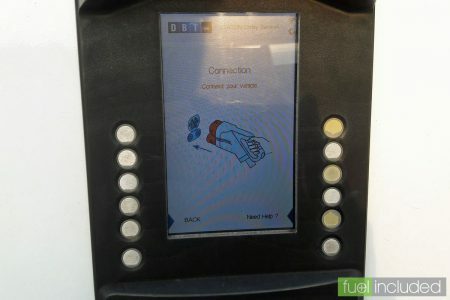 The screen will show ‘Initialization: Please wait whilst your vehicle connects to the charge point’ and will highlight the charge point going through a number of check steps: Start communication, Isolation check, Precharging, Charging. 11. At this point charging starts, and you can usually hear the distinctive high pitched whine of rapid charging underway. Monitoring the charge progress, and ending the charging session, are covered in Part 2.